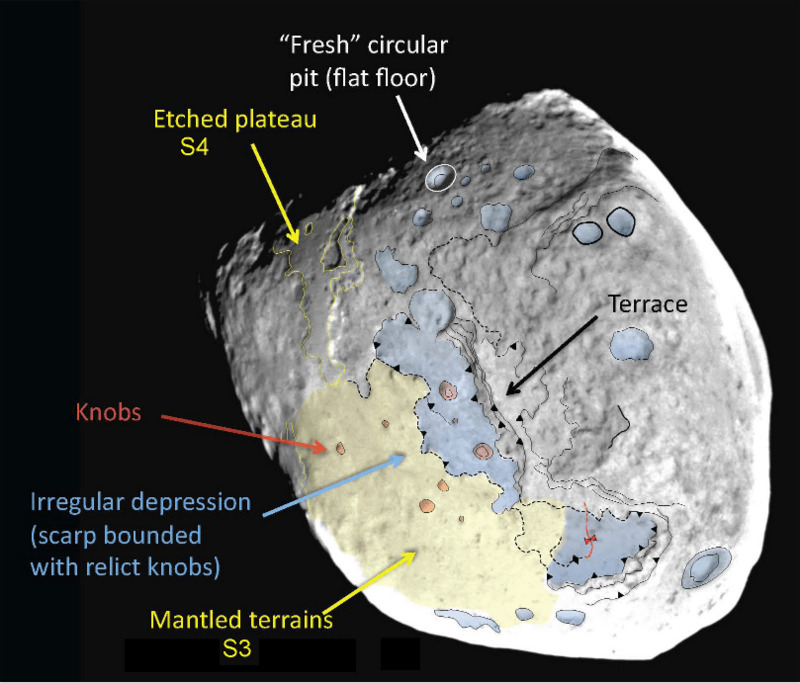 Stardust-NExT (Stardust-New Exploration of Tempel) is an extended mission that utilizes the already "in flight" Stardust spacecraft to fly by comet Tempel 1 in Feb. 2011 and extend the investigation of that comet by the Deep impact mission. Note - while the mission name has been changed to Stardust-NExT the spacecraft will continue to be referred to as "Stardust." NASA's Jet Propulsion Laboratory, Pasadena, Calif., manages Stardust-NExT for NASA's Science Mission Directorate, Washington. Cornell University, New York is home to the mission's principal investigator, Joe Veverka. The spacecraft was built for NASA by Lockheed Martin Space Systems, Littleton, Colo.
Cassini completed its initial four-year mission to explore the Saturn System in June 2008 and the first extended mission, called the Cassini Equinox Mission, in September 2010. The Cornell Cassini researchers have diligently reviewed and researched the multitude of data provided by the mission. The mission’s extension, which extended through September 2017, was named for the Saturnian summer solstice occurring in May 2017. The northern summer solstice marks the beginning of summer in the northern hemisphere and winter in the southern hemisphere. 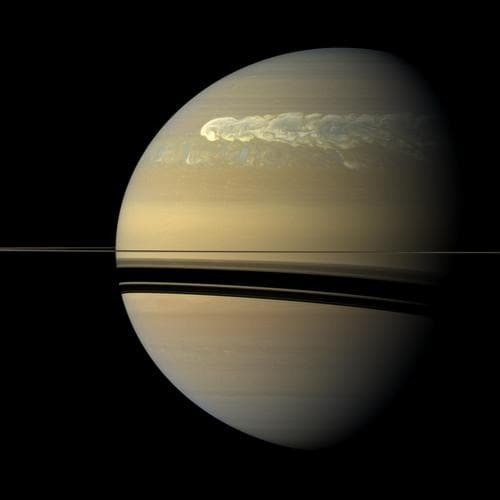 Since Cassini arrived at Saturn just after the planet's northern winter solstice, the extension will allow for the first study of a complete seasonal period. 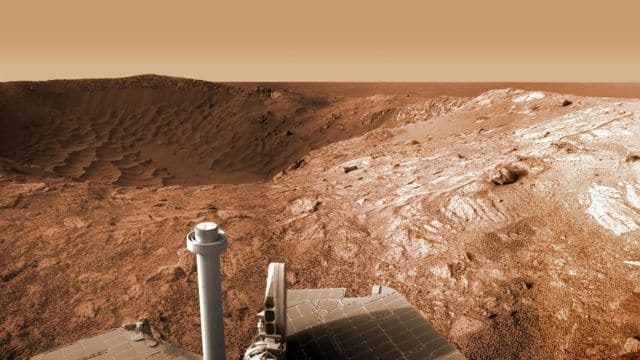 NASA's twin robot geologists, the Mars Exploration Rovers Spirit and Opportunity, launched toward Mars on June 10 and July 7, 2003, in search of answers about the history of water on Mars. They landed on Mars January 3 and January 24 PST, 2004 (January 4 and January 25 UTC, 2004). The Mars Exploration Rover mission is part of NASA's Mars Exploration Program, a long-term effort of robotic exploration of the red planet. Professor Stephen Squyres, the scientific Principal Investigator, and the Cornell MER Team have analyzed the extensive data returned from the rovers and have provided new research insight in the composition of Mars and the possibility of water on the red planet. After the airbag-protected landing craft settled onto the surface and opened, the rovers rolled out to take panoramic images. These images give scientists the information they need to select promising geological targets that tell part of the story of water in Mars' past. Then, the rovers drive to those locations to perform on-site scientific investigations. Herschel, ESA’s cutting-edge space observatory, carries the largest, most powerful infrared telescope ever flown in space. A pioneering mission, Professors Martha Haynes and Don Campbell are using it to study the origin and evolution of stars and galaxies to help understand how the Universe came to be the way it is today. 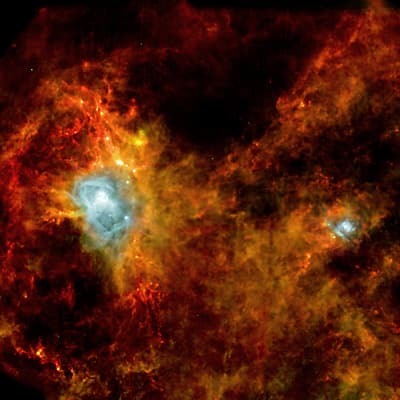 The first observatory to cover the entire range from far-infrared to submillimetre wavelengths and bridge the two, Herschel is exploring further into the far-infrared than any previous mission, studying otherwise invisible dusty and cold regions of the cosmos, both near and far. By tapping these unexploited wavelengths, Herschel is seeing phenomena beyond the reach of other observatories, and studying others at a level of detail that has not been captured before. The telescope’s primary mirror is 3.5 m in diameter, more than four times larger than any previous infrared space telescope and almost one and a half times larger than that of the Hubble Space Telescope. Its size is allowing Herschel to collect almost 20 times more light than any previous infrared space telescope. The spacecraft carries three advanced science instruments: two cameras and a very high-resolution spectrometer. The detectors in these instruments are cooled to temperatures close to absolute zero by a sophisticated cryogenic system. Map Jupiter’s magnetic and gravity fields, revealing the planet’s deep structureExplore and study Jupiter’s magnetosphere near the planet’s poles, especially the auroras – Jupiter’s northern and southern lights – providing new insights about how the planet’s enormous magnetic force field affects its atmosphere. T. Pyle (SSC)Theories about solar system formation all begin with the collapse of a giant cloud of gas and dust, or nebula, most of which formed the infant sun. Like the sun, Jupiter is mostly hydrogen and helium, so it must have formed early, capturing most of the material left after our star came to be. How this happened, however, is unclear. Did a massive planetary core form first and gravitationally capture all that gas, or did an unstable region collapse inside the nebula, triggering the planet’s formation? Differences between these scenarios are profound. small proto-planets, in planetary formation hangs in the balance – and with them, the origin of Earth and other terrestrial planets. Icy planetesimals likely were the carriers of materials like water and carbon compounds that are the fundamental building blocks of life. Unlike Earth, Jupiter's giant mass allowed it to hold onto its original composition, providing us with a way of tracing our solar system's history. Juno will measure the amount of water and ammonia in Jupiter’s atmosphere and determine if the planet actually has a solid core, directly resolving the origin of this giant planet and thereby the solar system. By mapping Jupiter’s gravitational and magnetic fields, Juno will reveal the planet’s interior structure and measure the mass of the core. How deep Jupiter's colorful zones, belts, and other features penetrate is one of the most outstanding fundamental questions about the giant planet. Juno will determine the global structure and motions of the planet’s atmosphere below the cloud tops for the first time, mapping variations in the atmosphere’s composition, temperature, clouds and patterns of movement down to unprecedented depths. the hydrogen acts like an electrically conducting metal which is believed to be the source of the planet's intense magnetic field. This powerful magnetic environment creates the brightest auroras in our solar system, as charged particles precipitate down into the planet’s atmosphere. Juno will directly sample the charged particles and magnetic fields near Jupiter’s poles for the first time, while simultaneously observing the auroras in ultraviolet light produced by the extraordinary amounts of energy crashing into the polar regions. These investigations will greatly improve our understanding of this remarkable phenomenon, and also of similar magnetic objects, like young stars with their own planetary systems. In Greek and Roman mythology, Jupiter drew a veil of clouds around himself to hide his mischief. It was Jupiter's wife, the goddess Juno, who was able to peer through the clouds and reveal Jupiter’s true nature. The Juno spacecraft will also look beneath the clouds to see what the planet is up to, not seeking signs of misbehavior, but helping us to understand the planet’s structure and history. 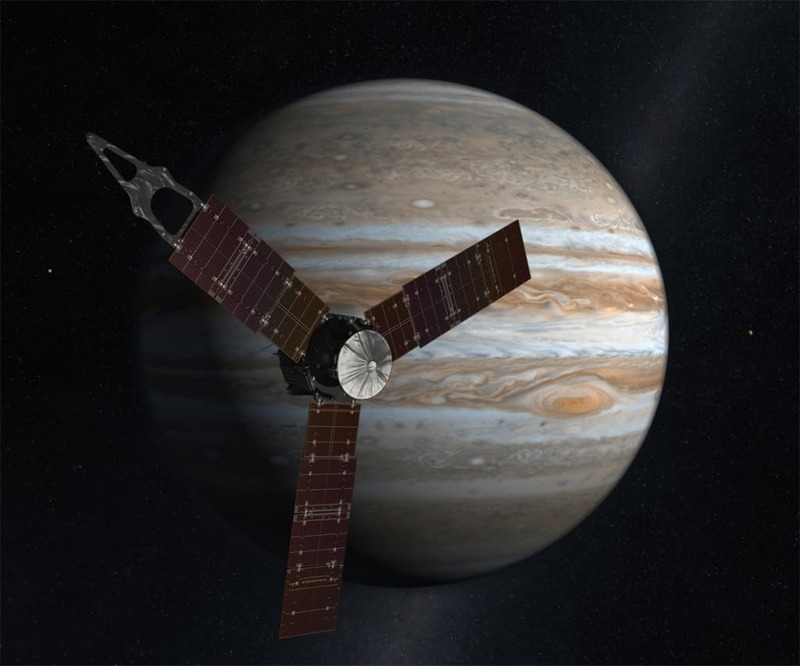 The Juno mission is the second spacecraft designed under NASA's New Frontiers Program. The first was the Pluto New Horizons mission, launched in January 2006 and scheduled to reach Pluto's moon Charon in 2015. The program provides opportunities to carry out several medium-class missions identified as top priority objectives in the Decadal Solar System Exploration Survey, conducted by the Space Studies Board of the National Research Council in Washington. JPL manages the Juno mission for the principal investigator, Scott Bolton, of Southwest Research Institute in San Antonio. The Juno mission is part of the New Frontiers Program managed at NASA's Marshall Space Flight Center in Huntsville, Ala. Lockheed Martin Space Systems, Denver, built the spacecraft. Launch management for the mission is the responsibility of NASA's Launch Services Program at the Kennedy Space Center in Florida. JPL is a division of the California Institute of Technology in Pasadena.